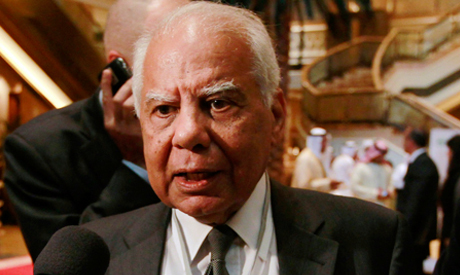 Egypt's Cabinet has set the minimum wage for the public sector at LE1200 ($174), as of the beginning of next year, said Prime Minister Hazem El-Beblawi in a televised press conference on Wednesday. According to official data, the number of employees in the governmental sector increased by two percent in 2012/13 to reach 5.545 million, compared to 5.439 million one year earlier. In June 2011, the interim government set the minimum wage for the public sector at LE700 ($101.5). Regarding the private sector, workers and business owners demanded more time to discuss the rate, added Hossam Eissa, deputy to Egypt's Premier. "Representatives of workers and employers will meet on Sunday to resume talks over the minimum wage, and the Cabinet will meet on Wednesday to make a decision," added Eissa. Eissa deems one of the easiest tools with which to improve social justice is by raising payments. However, he added that social justice also entails good housing and hospitals where "no one dies." "Social equality is not only related to increases in pay; social justice is to provide job opportunities for people," Eissa elaborated. In 2011, private sector workers were promised an ‘emergency allowance’ if their pre-tax salary, not their take-home salary, failed to reach the LE700 minimum. 71 percent of the country's total labour force – 27 million Egyptians – work under the umbrella of the private sector. Egyptian statistics body CAPMAS has stated that a quarter of Egyptians are living in poverty. CAPMAS defines those living in poverty by per head expenditure that is below LE 3,076 (roughly $446) per year or LE265 (roughly $38.4) per month.